Another article written just after the election. It’s a novel scene, even for America: President Elect Donald Trump is facing an unprecedented wave of organized opposition prior to moving into the White House. While the Democratic Party are hoping to leverage these street action into votes in 2017 and 2018, the real strategy here seems to be about forging deeper narratives and creating a collective feeling of ‘disenfranchisement’ among liberal millennial. It may appear like a grassroots uprising, but upon closer inspection, there big money and big players behind it all. Within 24 hours of the dramatic conclusion to 2016 presidential election on November 8th, highly organized flash mobs directed in part by the Democratic Party’s leading ‘community organizing’ digital platform, MoveOn.org (funded by Wall Street billionaire and top Clinton donor George Soros) spread rapidly throughout several cities across America including Oakland, Los Angeles, New York and Portland. While vitriolic anti-Trump dissent consumed some urban parts of the country, mainstream media outlets, as well as a column of Hollywood celebrities and entertainers added to the disillusionment as they took to the airwaves and social media to express their shock and emotional fears that a Trump presidency would be “the end of the world,” for some anyway. Readers would not be amiss in questioning the true nature of the heavily coordinated color revolution-style MoveOn marches across America, as they reveal a much deeper social engineering agenda at play – one that enlists a likely coalition comprised of corporate media outlets, Silicon Valley, along with Hollywood – together peddling a highly reactionary, if not incendiary political message. Make no mistake: this is a well-financed and concerted attempt to further divide America – along new cultural lines of identity – a division which will eventually benefit the same elite establishment which both the popular left and the popular right believe they are currently railing against. For nearly a week, street protests have been promoted by the same mainstream news networks that had predicted a Hillary Clinton landslide only eight days ago. In my first report discussing this potentially explosive situation unfolding across America, it was shown how “MoveOn members had created more than 200 gatherings nationwide, with the number continuing to grow…” What this demonstrates more than anything is how the amalgamation of virtual community-based flash mobs and professional political agitators have been fostered by various Democratic party NGO’s since the early 2000’s – not only through MoveOn.org, but also through Democratic Party affiliated foundations like Answer Coalition. Here we see an example of the financial nexus formed between powerful players like Soros, Wall Street’s Goldman Sachs – and America’s ‘progressive’ leftwing political establishment. Clearly, there is a high level agenda at work here, and you only need to follow the money to see who are the chief beneficiaries. Some of the most notable uprisings in America include the designer social justice campaigns – all of whom have George Soros money behind them through a vast network of foundations and social front groups – like ‘The Occupy Movement‘ (aka OWS) in 2011, as well as Soros funded protests in Ferguson, Missouri in 2014, and the Black Lives Matter (BLM) street action group this past year. Each of these have a common thread – they have all evolved into some form of violent social unrest often steered by paid provocateurs. Media outlets generally do not like to cover this side of the events because it simply doesn’t fit the favored “Left vs Right’ narrative the media loves so much. Hence, most members of the public – especially the protesters themselves – have little or no idea what is driving street violence and the ‘crisis’ narrative. Some of the anti-Trump protests in the US have been organized by groups that were sponsored by Clinton sympathizer and billionaire George Soros. Among Wikileaks’ Podesta emails was a strategy document involving the Soros-supported MoveOn.org and grassroots organizing and funding. “The gatherings—organized by MoveOn.org and allies—will affirm a continued rejection of Donald Trump’s bigotry, xenophobia, Islamophobia, and misogyny and demonstrate our resolve to fight together for the America we still believe is possible,” the statement continued. “Those that are stirring it up, and many of them do work for Soros-fronted organizations are really telling those innocent protesters, and perhaps less innocent protesters, they are in danger by Trump, even though Trump has done nothing but preach unity since he won the election,” Marko Gasic, a British-Serbian political commentator told RT on Friday. The global elite’s objections to in President-elect Donald Trump is perhaps different from what they are telling protesters, Gasic said. However, Gasic doesn’t think they would try to get rid of Trump. “But they want to intimidate him to get him to agree to social peace at home as long as the global elites are allowed to pursue their wars abroad. They want him to become a neocon just like they are,” he added. Since Trump won on Tuesday, protests have occurred out in cities across the US, all of which are Democratic strongholds. There have been three nights of protests, with more planned for Friday night and many slated for the weekend. At a rally in Portland attended by more than 4,000 people on Thursday night, police declared it a riot and fired tear gas and rubber bullets at the crowd after claiming they were attacked by protesters. They arrested 26 people. Leading Democratic funders in California have started a campaign calling to reject the election results, arguing it was not consistent with the state’s values. Among the emails hacked from Hillary Clinton campaign chair John Podesta and published by WikiLeaks was one from September 9, 2007 that was sent from Podesta’s think-tank Center for American Progress and shared with MoveOn.org. It included an attachment, a strategy document seeking financial support from George and Jonathan Soros, Peter and Jonathan Lewis, Herb and Marion Sandler, Steve Bing, and John Sperling for grassroots efforts. Further in the document, it refers to controlling the political discourse by using the networks of “grassroots organizing; multi-issue advocacy groups; think tanks; youth outreach; faith communities; micro-targeting outfits; the netroots and blogosphere…to drive the content of politics through a strong ‘echo chamber’ and message delivery system,” stated the document. In an article from 2004, the Washington Post revealed that Soros and his wife, Susan Weber Soros, gave $1.46 million to Move.On.org. In 2014, a data analytics company called Catalist, specializing in progressive causes, received a new round of investment funding, including $2.25 million from liberal billionaire George Soros, CNN reported at the time. In this exchange, notice how adamant and entrenched Congressman Adam Schiff is in his position. Schiff makes an accusation about Russia, builds a whole story on that foundation, and then goes on a verbal attack. Fox host Tucker Carlson uses the phrase “weasel words”. This was a very sophisticated verbal barrage by Schiff that shifted the focus to Carlson, that he was the one with the problem for not “believing”. Schiff did not act humiliated or flustered. The exchange reveals how deeply committed Schiff and an unknown number of American officials are to pushing this particular story line and belief and to unbendingly defend it. Officials such as Adam Schiff are directing American foreign policy based on their near-pathological prejudices and beliefs. How far will they go? The current results are visible in destroyed countries and lives, and these conflicts aren’t over yet. On Fox News’ Tucker Carlson Tonight, Congressman Adam Schiff was absolutely humiliated over his Russian hysteria and repeated claims that the Kremlin had hacked the election. “The information was true, and voters got to see that, and it helped them assess how they wanted to vote. Why is that bad? Are you really arguing against more information for voters?” Carlson asked. “Are you really arguing in favor of a foreign adversarial party hacking into the American —” a stunned-looking Schiff began. Tucker then asserted that he was not arguing in favor of it, but that the information was placed into the public view — and thus voters had the right to see and assess it. Schiff then asserted that President-elect Donald Trump was the only beneficiary of “Russian meddling,” which was quickly shot down as “speculation” by Carlson. Schiff continued to assert that the intelligence community claimed that the Kremlin was behind the hacks. Schiff appeared to grow increasingly flustered and continued to push McCarthyist anti-Russian sentiment, which Carlson hilariously mocked. Schiff then said that if the Russians had hacked into Carlson’s emails, that he would not seek to justify their release. “Are you arguing that voters should not have seen that information?” Carlson repeated several times. Eventually, Schiff admitted that in some cases the press should publish information that is illegally obtained, if it is of great public interest, but continued to claim that Russia was behind the hack and that the press are responsible for reporting where the information came from. Carlson asserted that Schiff does not know if Russia was behind the hacks. He then challenged the congressman to turn to the camera and specifically say that, “I know the government of Vladimir Putin hacked John Podesta’s emails.” The representative would not comply. Carlson asked him, again, to look into the camera and say the Russian government hacked Podesta’s emails. The flustered Schiff then accused Carlson of ignoring that Russia is behind the hack because it benefitted the Republican candidate. He also accused the Fox host of being an “apologist” for the Kremlin. “I just think if you’re going to make a serious allegation about an actual country, which an actual government, you ought to know what you are talking about — and you don’t!” Carlson laughed. Viggo Mortensen – Why am I voting for Jill Stein? I’ve been scolded by friends and strangers, sometimes mildly and sometimes with disdain, for supporting Jill Stein in the 2016 U.S. presidential election. Some of the attacks I’ve received publicly and privately have been surprisingly angry and patronizing. I’ve been told that I’m a patsy for Donald Trump, that I’m naïve, misinformed, elitist, ignorant, and worse. This has been an unusually carnivalesque election so far, from the primary season through to the “main event”, with a premium on vitriol and mendacity, dominated by a frequently disheartening lack of profundity and objectivity from the mainstream media. This is the poorest two-candidate race for the presidency that I have ever witnessed the corporate media/political Establishment attempt to ram down the throats of the U.S. electorate. So, why am I voting for Jill Stein? I previously supported Bernie Sanders because he was, on many levels, a welcome voice speaking truth to power, drawing attention to rampant institutional economic inequality, racism, corruption in the electoral system, and the urgent need to address climate change. Like a lot of people, I was disappointed when Sanders lost the Democratic Primary race to Hillary Clinton. I hoped at that point that he might join forces with Jill Stein and the Green Party, but he declined that unique opportunity. Bernie never spoke to the all-important issues of U.S. economic and military imperialism the way that Jill Stein has consistently done, but he was a credible voice for change in many other areas. He made his choice to get on the Hillary Clinton Democratic Party bandwagon because he appeared to feel that it would be the best way to prevent a Trump presidency. The powerful few who control national politics and the mainstream media by virtue of their overwhelming economic advantages are counting on supporters of Bernie Sanders and other political alternatives to now support the two Establishment candidates. They are counting on no real change happening in the way this country is run and how average citizens are represented. At some point the system has to be overhauled, and the weeds have to be pulled out by the root. I do not want to reach the end of my life and have to accept that I did not vote my conscience as a citizen when it mattered most. Democracy is not a fixed thing; it is an ongoing process that must be nurtured, pruned, and actively encouraged to grow or it will gradually cease to yield meaningful progress. Times are changing and people all over this land – especially younger voters, who are the future of our republic’s continuing democratic experiment – are awake and paying attention. They did not go to sleep when Bernie Sanders largely gave up the fight for significant change in our political-economic system. Like many that supported Bernie, I trust Hillary Clinton about as far as I can throw Donald Trump. Jill Stein is the only candidate with a serious plan to halt climate change and switch to 100% renewable energy by 2030. She’s the only candidate, now that Sanders is out of the race, with a plan to release students from impossible levels of debt. She’s also the only candidate who is talking seriously about Black Lives Matter, institutional racism, and police brutality—and she has realistic and workable plans to address these social problems. She is also taking a stand against unexamined military overspending and the irresponsible and often criminal misuse of those who volunteer to serve in our country’s armed forces. She eloquently draws attention to the patriots who are forced to fight in illegal, immoral, unnecessary, and unwinnable wars. As she has unflinchingly pointed out, “This results in a multitude of deaths, injuries (both mental and physical) and presents a crisis of conscience situation for many in combat. Jill Stein knows that these are problems that have not been honestly addressed, and that it is extremely unfair that those willing to give the ultimate sacrifice for their country are not properly supported or taken care of. Unlike Hillary Clinton or Donald Trump, she will never deploy troops into unnecessary or illegal combat. She cares deeply about our country being truly exemplary – in action and not just in high-sounding words uttered by our political leaders – as a member of the family of nations. For these and other positions that Jill Stein and her running mate Ajamu Baraka hold, I strongly recommend that voters take the time to have a look at the website jill2016.com and follow Jill Stein and the Green Party on social media. You may agree or disagree with Jill on some points, but I sincerely believe that you are doing your conscience a disservice if you ignore her well-considered and constructive proposals. If you feel, as I do, that the issues that only Jill Stein has the courage and decency to fully address need urgently to be part of the national political discourse during this election and beyond, please donate now to Jill’s campaign for President. Jill’s campaign has been hit hard by the Clinton campaign’s fear-mongering, which has seriously driven down donations. You can help push back against these unprincipled attacks by making your defiant contribution today. Because I have done my best to inform myself about the many important issues that face our country, because I am following my conscience as an engaged citizen and a passionate supporter of the democratic process. Because now is the time, not later, because I will not be intimidated by those who operate out of fear of significant change, because I will not be dissuaded by those who are understandably nervous about thinking long-term, about standing firm in the eternal battle for socio-economic justice and true political freedom in this country. Because I am proud to be part of an ongoing, centuries-old democratic experiment that ought to always stand for fairness, compassion, and strength based on common sense and human decency at home and abroad. Because there is always hope. Because all we need to do to help it thrive is to embrace it and cultivate it to the best of our abilities in a conscious effort to eliminate the real obstacles to liberty and justice for all. The Clintons will break all rules and laws to seize White House power. This is amply proven by the manner in which they rigged and stole the first presidential debate. The operation appears to have been planned in advance of the September 26, 2016 event, involving the Clintons and their operatives, the debate organizers, the broadcast media (NBC and “moderator”Lester Holt), the managers of the venue, and the security detail at the facility. The rig was carried out with near-military precision. It began with the building of a special podium for Hillary Clinton: one that was smaller than the podium designated for Donald Trump. The smaller podium gave Hillary the illusion of being bigger in physical stature. More importantly, the podium seems to have been built or adapted with some sort of electronic console or teleprompter. Who oversaw the building and modification of this podium? Why did the Trump people not notice this immediately? Prior to the debate, tape footage shows how a device meant to be installed into Hillary’s podium was smuggled in by the Clintons and their operatives. Also brought in was a stack of documents; perhaps the debate questions obtained in advance from someone inside. The behavior appears highly suspicious; they are clearly up to something. Photos also lay waste to the lie that Lester Holt was not wired during the debate. He clearly was, and a technician even removed his jacket to install it. Hillary herself might also have been wired. To what, we do not know, but they were both wired. During the debate, footage shows Hillary Clinton’s podium lighting up with a computer screen, while Trump’s podium stays dark. Hillary’s hand appears to be pressing or toggling controls on the podium to scroll through her teleprompter screen. Her motions have been interpreted by some as involuntary tremors from Parkinson’s disease, but they appear to be far more deliberate than involuntary. Analysis shows Hillary apparently giving signals to Lester Holt several times at key moments during the debate. Each time she scratched her nose or touched her face, Holt promptly interrupted, attacked and derailed Trump. The timing was too systematic to be coincidental. Holt also clearly let Clinton have a free pass to speak ad nauseum without “fact checking” and without interruptions throughout the debate. This in addition to the inane topics—which did not include any questions about Clinton’s track record—were already a setup that did not favor Trump. The most damning evidence of the rigging involves what happened after the debate ended. Footage shows the Clintons and their operatives “doing a sneaky dance” on the stage after the debate to retrieve the device from Hillary’s podium while the crowds mill about. The main Clinton operative—the white-haired mustached man wearing glasses— has been identified as Brady Williamson, a Democratic Party strategist and lawyer, and a man who has worked for the Clintons for decades. Williamson, the “Cleaner Man” darts around, with two others lurking nearby acting as lookouts. Their movements suggest that they are clearly up to no good. Finally the entire Clinton team, including Bill and Hillary, surround the secret podium to hide the retrieval of the object(s) out of the podium. These items are passed from Williamson to another operative, and then secreted out. Criminal behavior on the part of the Clintons is no surprise. It is how they have always done things, and gotten away with all of it. Criminality, secrecy, and deception are the foundations of their political dynasty. Any seasoned observer expects the dirtiest dirty tricks from them. What is baffling is that this blatant fraud occurred without the Trump camp noticing, or doing anything about it. Trump agreed to the terms and mechanics of the debate well in advance. What happened to Trump’s security detail? How did no one notice how Hillary’s podium lit up? Why was the stage controlled only by Clinton operatives? Didn’t anyone not aligned to Clinton check the podiums and the stage before the debate began? Why didn’t someone confront Williamson or the other suspicious characters? Why didn’t Trump cry foul during the fraud, or afterwards? If the Trump forces are unable to counter or match the dirty tricks and psy-ops of the highly experienced Clinton machine, they will not survive. The world is facing unprecedented crisis. Yet substantive issues are not addressed in these campaign events. If and when any real issues are approached, deception, lies and falsehoods dominate the rhetoric. As expected, the Clinton faction is trying to reduce matters to the lowest common denominator, focusing attention on gossipy tabloid material, such as “rude things that Trump said or tweeted”, Trump’s “fat shaming” of women and Miss Universe contestants, and Trump’s tax returns. The Clintons have calculated, probably correctly, that the dumbed down American masses care much more about trivial matters than such real issues as world war, nuclear holocaust, collapsing economies and other realities. The low road, familiar to the dirty Clintons, is their key to victory. They view the populace with utter contempt. Their goal is to seize power, and to hell with the rest. Tragically, instead of turning matters to his advantage, Trump has so far taken the bait, falling into the Clinton trap, by reacting to the Clinton gossip. He has even added more hot air to the mix, blabbering about his own business affairs and matters of irrelevance. He himself is the embodiment of tabloid gossip and a reality show circus, and he has done a poor job changing this impression. Both Clinton and Trump are head cases. Even when he has been given opportunities to drive the discourse, Trump has failed to articulate how he would be less of a New World Order neocon/war monger/corporatist than Clinton. He and Clinton argue about who is the better “anti-terrorist” and the tougher adversary against Russia and China, the more aggressive “law and order cop”. Yes, Trump has criticized Clinton and Obama for some of their war policies, for “disasters” such as creating ISIS, etc. But would Trump have ended the wars if he had been at the controls? Does he intend to end them now? Would he stop the regime change agenda in Syria? Would he make peace with Russia and stop military operations aimed at Russian forces? Would Trump end the criminal reign of the CIA? Would Trump do anything about the decades of crimes of the Clintons and Bushes, for which they deserve severe punishment? Would he prosecute the highest figures of the New World Order? Would Trump dare expose the fact that Bush-Clinton/neoliberal-neocon is a charade that masks the united criminal reality that is the New World Order? Unless the answer to all of these questions is yes, then Trump is no hero, either. Trump will not pull the plug on the machine that put him on the map; the system that made him rich. It would be delusional to think he would. “Not being Clinton” is not, by itself, a qualification. If Trump is backed by the Bush faction, and by neocons such as his vice presidential partner Mike Pence, and if Trump pushes ideas that appeal to right-wing extremists and the Religious Right, then he is simply a different path to the same holocaust, with slightly differences in style and timing. Given her well documented penchant for war crimes and murder, Hillary Clinton is the larger threat to the planet. But a Trump/neocon/Republican administration would likely also result in continued chaos and suffering, and dangers of great magnitude. The second debate scheduled for October 9, 2016 promises nothing better for Trump. The last debate saw Hillary Clinton and Lester Holt ganging up on Trump. This next time, it will be three against one. 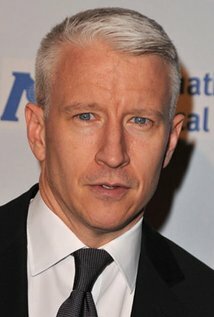 One of the “moderators” is CNN’s Anderson Cooper, who was a CIA intern, who likely still functions as an intelligence asset. CNN is so heavily skewed to the Clintons, and dominated by former Clintonites, that it is referred to derisively as the “Clinton News Network”. Cooper has pushed the lie that Lester Holt was deferential to Trump, when in fact Holt constantly interrupted Trump and bashed him every time Hillary asked him to. Cooper’s statements suggest that he will attack Trump even more aggressively than Holt. The other “moderator” will be ABC’s Martha Raddatz, who was White House correspondent in the George W. Bush administration. Raddatz is further proof that the corporate media is a revolving door through which Washington insiders slither and slime back and forth. As long as the Clinton operatives continue to be allowed to get away with fraud and criminal shenanigans—-be it rigged podiums, rigged stage props, hidden teleprompters, hidden transceivers, cheat notes, and collusion with “moderators”—and as long as the corporate media continues to conspire with the Clintons without consequences, then Donald Trump will be toast again. That is what the Clintons are counting on. An easily-rigged election, and Washington and Kiev can declare “the people decided”. Only the people have the right to determine what the basic laws will be, the Prime Minister said. 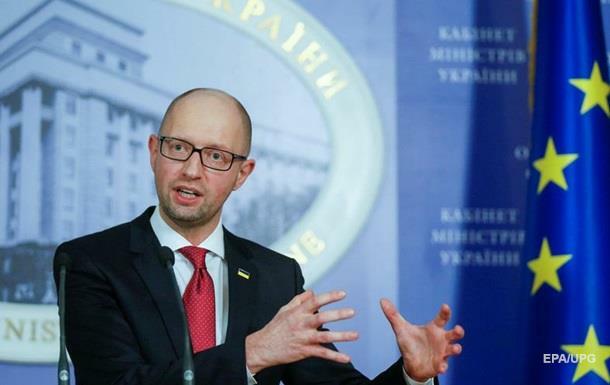 Prime Minister Arseniy Yatseniuk is in favour of a referendum on the Constitution. He stated this during the program “10 minutes with the Prime Minister”. According to him, it is only the people who can decide what will be the main laws of the country. “It’s time that the Ukrainian people decided what should be the new Ukrainian Constitution in the European Ukraine. 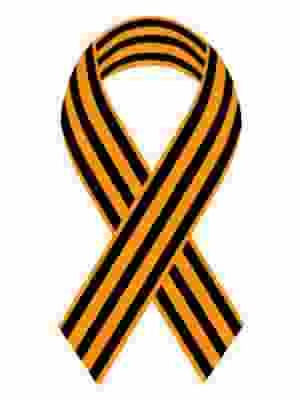 No one but the people of Ukraine have the right to determine what will be the basic laws”, – said the Prime Minister. He noted that the referendum on the Constitution will be “direct democracy in a free and democratic country“. On 20th January the people’s deputies decided to slow down the process of adoption of the amendments to the Constitution. The second Ukrainian President Leonid Kuchma stated that Ukraine failed to agree on changes to the Constitution as there was no “pocket” Parliament making decision on orders from above. A member of the subgroup of the Trilateral contact group, Iryna Gerashchenko, said that the second reading of constitutional changes can occur only against the background of progress on the implementation of the security and humanitarian points of the Minsk agreements. This applies to U.S. voters as well. Illusion is the most tenacious trait in humanity. History teaches but it has no pupils. Two millenia ago, the emperors of the Chin dynasty developed the earliest known type of crowd control. An especially hated minister of the government would periodically be thrown to the mob and ripped to pieces, thereby satiating the restlessness and rage of the people while keeping Imperial power safely intact. This system was later perfected into something we call voting. I can’t say I was surprised yesterday when a majority Liberal government was appointed over the ashes of one of the most hated political regimes in Canadian history. That’s how the game works, after all: the old tag-team operation of manufactured change designed to convince the mob that it’s really achieved something by bringing in the new guy. 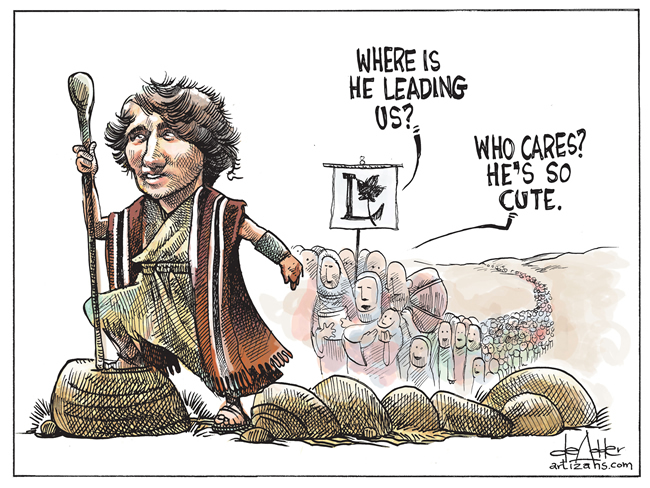 Like those similarly deposed rulers named “Pope” Benedict and President George Bush junior, Prime Minister Stephen Harper increasingly and expertly played his role of irredeemable villain in order to draw upon himself the hatred of a majority of the electorate, allowing his attractive, smiling Liberal replacement to be acclaimed and loved by the crowd simply for looking nicer. This kind of puppet show worked admirably for those other Villains’ appointed successors, President Obama and “Pope Francis”; and now it’s worked equally well for Justin Trudeau, that paltry reincarnation of his wife beating and child molesting father Pierre. Meanwhile, the election game concluded, the Empire will carry on, for now: the mob “democratically” satiated, the Corporatocracy preserved. Any Canadian who has the semblance of a political memory must find the entire thing more than repulsive, especially if we remember how the same apparent changing of the guard happened not so long ago after an equally despised Tory Prime Minister, Brian Mulroney, saw his party wiped out and reduced to two seats in Parliament on the wave of the same kind of Liberal landslide. Then, after years of the same kind of mob-ruled corruption, the Tories under Stephen Harper took over again with the same promising of goodness. I’ve always hated ping pong. It seems so mindless and repetitive – just like Canadian voting patterns. Strait jacketed by a two party bi-polarism, Canadians exhibit the cyclical behavior pattern of an untreated manic depressive, feverishly handing total power first to one palliative and then to another, and never learning a thing in the process. The farce is almost like American politics, except it’s a hell of a lot more boring north of the border. Like mashed potatoes without the gravy, to quote Canuckophobe Billy Bob Thornton. I don’t imagine any of this reality will register with the smug electorate who think they did something on October 19, even when their momentarily shiny and new Prime Minister stands up in Parliament and with all the other neophyte Pigs at the Trough takes his oath of loyalty not to those who elected him or to a Constitution, but to a senile pederast in London. But surely it’s time for those of us who call ourselves awakened to do something more than gripe about the tragic-comedy called Canada, Ltd. Blasted out of my own accommodation to Canadiana by what I discovered up close about the masses of little corpses upon which this nation is built, I have called for a Republic for years now: not as a nice idea but as a moral and lawful necessity. It’s not a new call: MacKenzie, Papineau, my ancestor Philip Annett and lots of other folks tried unsuccessfully to create such a Republic in arms in 1837. But history and our own recent efforts show us the truth that regardless of what opinion polls will tell you, Canadians aren’t ready for self-government – including the ones who say they are. Simply put, they lack the courage. I’ve met and worked with a lot of smart, militant and good-hearted Canadians over the decades, but I know very few courageous ones. Many of the paper members of our fledgling Republic of Kanata movement are experts in common law court procedure and how to wangle yourself out of paying personal income taxes. Some of them even tepidly challenge the system as one man shows and become internet celebrities. But the valor and the consistent will that breaks down every obstacle and forces a revolutionary movement into being is rarely to be found in Canada. We can, and do, blame our upbringing for this, of course. Who of us in Canadian schools didn’t have pumped into our vulnerable little brains the recurring refrain that we are not free citizens, but “loyal subjects” of someone calling herself a Queen? The hilariously accurate scene from the comedy “Canadian Bacon”, in which every Canuck in a crowd keeps saying “Sorry!” to the rowdy American who keeps slamming into all of them, tells it all, in a way. Canadian “niceness” is in reality just veiled over cowardice. During the critical years from 2005 to 2008 when a few of us forced our home grown Genocide into mainstream consciousness, I couldn’t find many other Canadians to occupy churches with us. It was mostly aboriginals who did so, and a host of them paid for their courage with their lives. White Canada hung back and watched our actions in trepidation – especially the “progressives”. Still to this day, the idea that we, the people, have the power to nullify criminal institutions, convene our own courts and take back our country is one that frightens most Canadians – including those in our Kanata network. In that sense, it’s perhaps small wonder that the recent October 19 election witnessed one of the biggest voter turnouts in Canadian history, if you believe the corporate media. “Change” for Canadians still means timidly handing over their authority to somebody else – even to unaccountable servants of a foreign criminal power, and to the real rulers like Power Corporation and the Bronfman and Desmarais families. Nevertheless, as Sun Tzu reminds us, change and uncertainty is the only constant in the universe. There is a new spirit in the land, even here in Canada: but it can only be detected close up. So, in closing, some words from the wise: when you see that spirit becoming embodied and emerging in your own neighborhood – in closed down crown courts and reclaimed property, in the citizen arrests of child rapists and criminally convicted church and state officials, and even in new Peoples’ Assemblies of local self-governance – be sure not to act like a Canadian. Don’t draw the curtains, or run for help to see if it’s all “legal”. Instead, have the fortitude to forget who you think you are and stand with us, and risk everything for our one improbable chance at liberty.